All About Lifting & Safety offer a premium mobile repair, testing and maintenance service as well in-house special applications repairs, testing & accredited certification’s lifting and load-bearing mechanisms. When you cannot afford the down time or the inconvenience to bring your lifting and safety equipment into our factory, All About Lifting offers an on-site inspection and testing service. 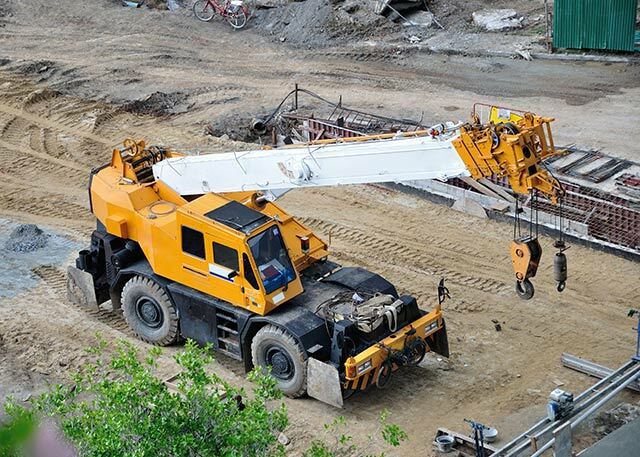 We offer comprehensive on-site lifting equipment Brisbane repair services that our clients can depend on. Fast repairs on chain slings and other equipment can be worked out in our workshops. Where necessary, your entire equipment will be repaired for you. To make sure you can make the most out of your equipment, we perform repairs and upgrades. This involves removing faults due to normal wear and tear of the material under normal circumstances. Where the situation requires, we also provide on-call technical advisory and resolution. Competitive Pricing Model: Quick & easy lifting equipment repair at competitive pricing. Our inspectors possess a wealth of experience and are rigorously trained to help our customers. We provide customer support that not only ensures that your equipment is thoroughly examined, but is also well-serviced. After years of experience, we understand that every customer has different hardware and servicing requirements. We have created a servicing plan that is flexible and simple to follow. The repair and maintenance of lifting equipment can be a hefty expense if not done correctly. Therefore, we advise our customers to make sure the operational manual which is delivered to the customers is available to the lift users at all times. This ensures proper maintenance and workability of the lifting equipment. When it comes to premium lifting equipment, All About Lifting & Safety ensures the equipment, including shackles lifting equipment, is certified before it is sent across to you. We have a vast range of shackles lifting equipment, including Bow Shackles, Dee Shackles and more. For more information or consultation regarding shackles lifting equipment or lifting equipment Brisbane businesses can trust, contact us today.